A rotary screw air compressor design works much differently than a reciprocating design. Reciprocating compressors come in two varieties: lubricated and non-lubricated. A lubricated version uses oil or water as the lubricant. As you might imagine, those parts need to be maintained in order to keep the machine running. There are more moving parts in reciprocating designs than rotary screw designs because the reciprocating pistons are driven by a complex crankshaft. Most air compressors are reciprocating, and their lower upfront cost and relatively high reliability make them popular for many applications. 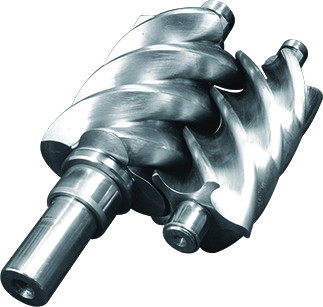 However, rotary screw designs offer some unique benefits that no shop tech should ignore. There's a lot to enjoy about rotary screw designs. First off, we should mention that they cost more upfront. You'll notice this when comparing a rotary screw against a similar reciprocating model. However, there are many long-term benefits of ownership that push many to switch to these models. One benefit is that rotary screw air compressors cost less to maintain. There are fewer parts, so there's less that can break. Maintenance can be a little pricier when it is performed, but the overall benefit of rotary screw models tends to work in your favor. Rotary screw models also help keep shop air clean. Lubricating oil is well-sealed within the rotating "screws," which prevents the air from being contaminated by harmful particulate. This makes rotary screws popular for applications that demand low moisture in the air. They can also be used for 100% continuous duty, which is a must-have feature in busy shops. Reciprocating compressors are sometimes rated "100% continuous," but in reality, they still need to rest 10 minutes for every 30 minutes of operation. 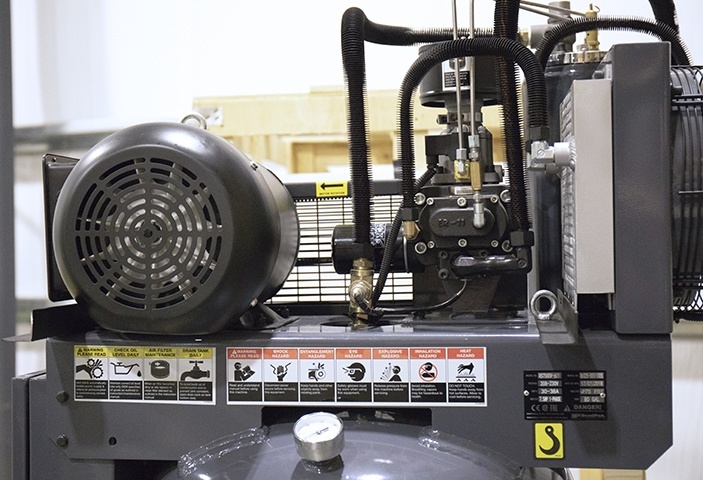 And, since rotary screw air compressors are barely louder than a vacuum cleaner or dishwasher, you can perform daily operations and communicate to others without straining your voice or missing critical information due to excessive noise. Rotary screw models are excellent choices for home garages and busy shops. The investment is likely to pay off over the years, and everyone can agree that less noise from shop equipment is always a good thing.